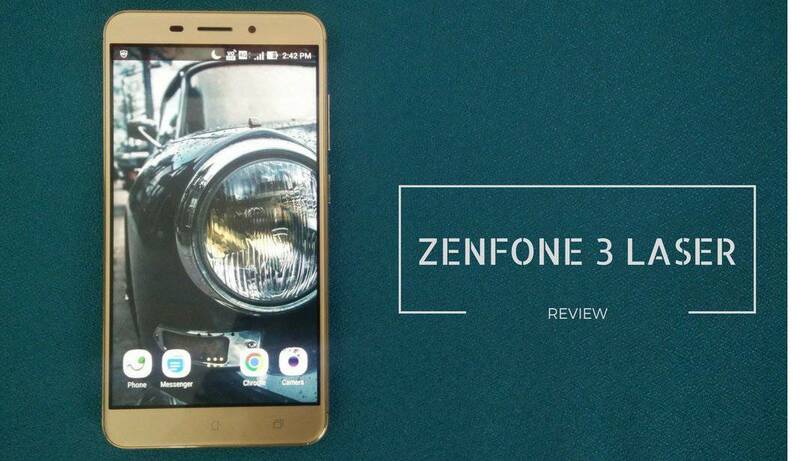 Asus Zenfone 3 Laser was launched with a Snapdragon 430 SoC, a 4GB RAM and a 32 GB internal storage. 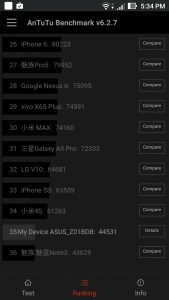 If you want to check Zenfone 3 Laser performance test results, I’m sure you must look at the camera samples here as well. 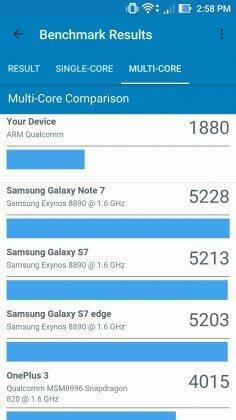 Anyway, the specs look decent for a phone that is in the <20K price range. 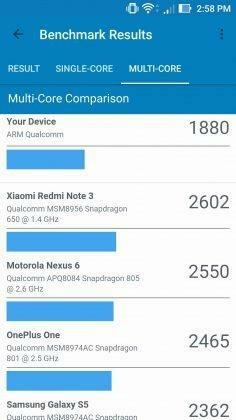 It also comes with a 5.5 inch full HD display and laser autofocus camera module. 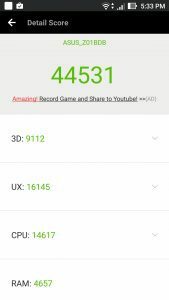 Although the specifications seemed decent, we ran our quick checks to ensure it performs and holds up well for high-end gaming and day to day activities. 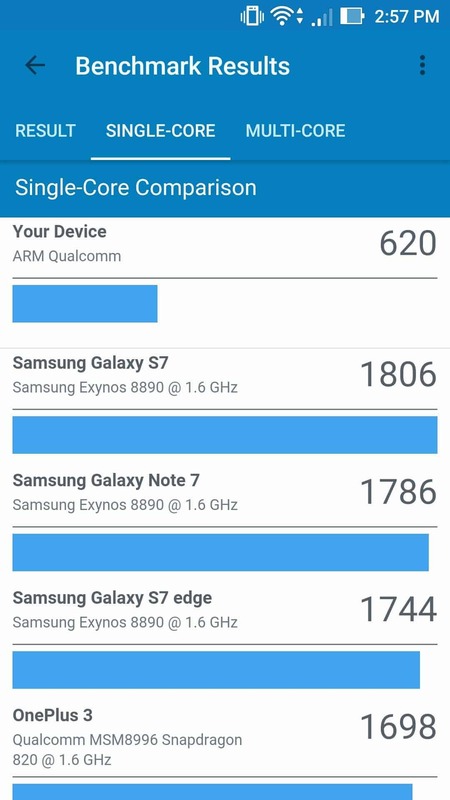 While there weren’t too many noticeable lags in gaming, we wanted to run the benchmark tests to see how it matches up to similarly priced rivals. 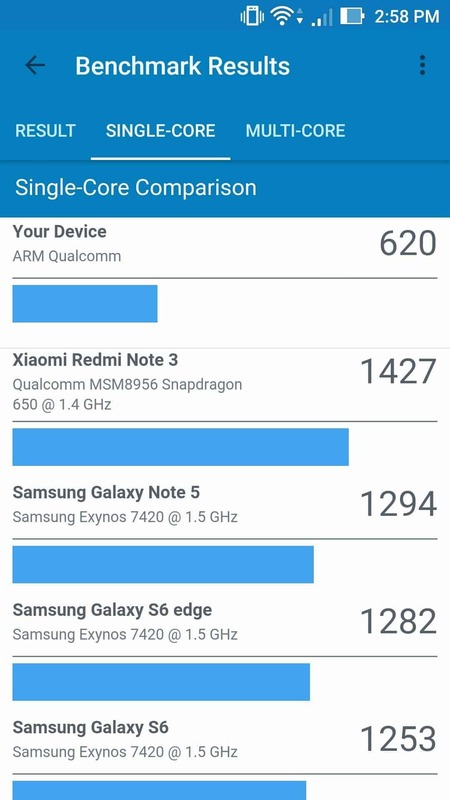 These tests might not be an indication of how it will perform while you use it day-to-day but would still give a fair picture of the high-end and long term usage or multitasking. 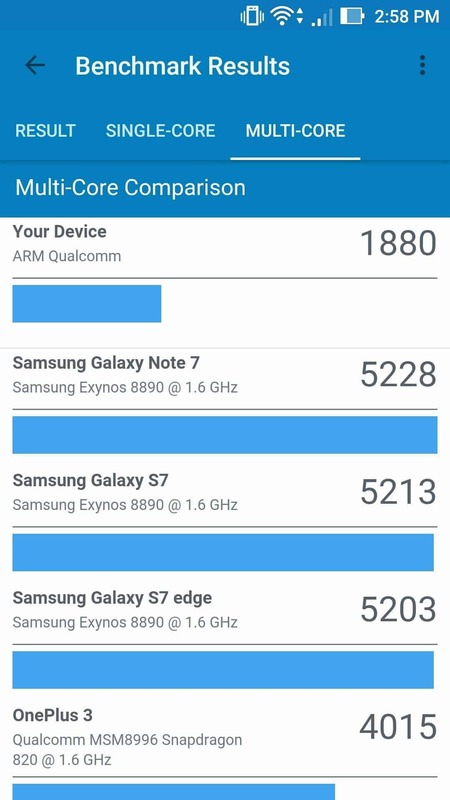 Lets head over to the test results. 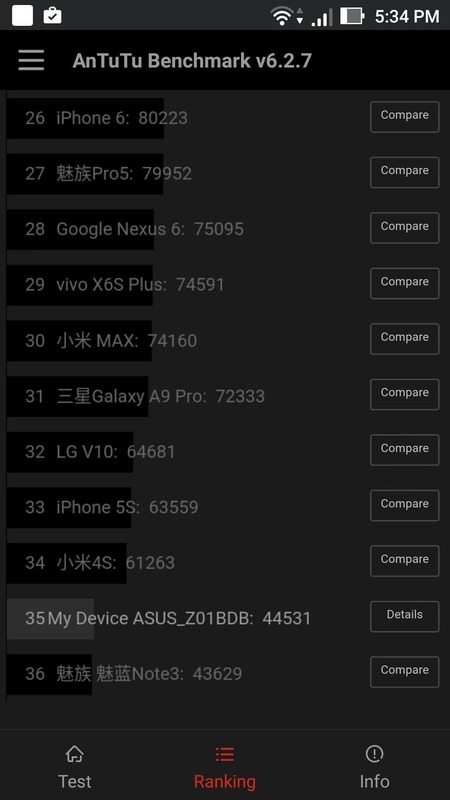 AnTuTu benchmark tests evaluated Zenfone 3 Laser performance as average with a score of 44531. 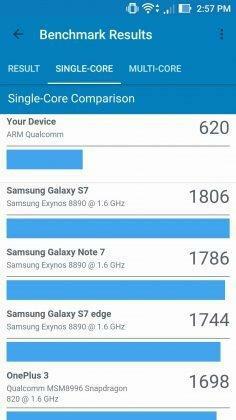 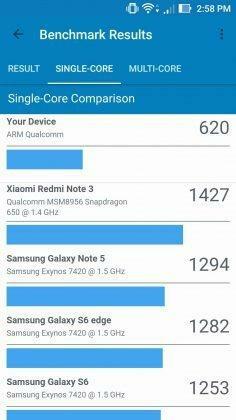 While compared to other phones of that category, we could see its placed much below similarly priced rivals. 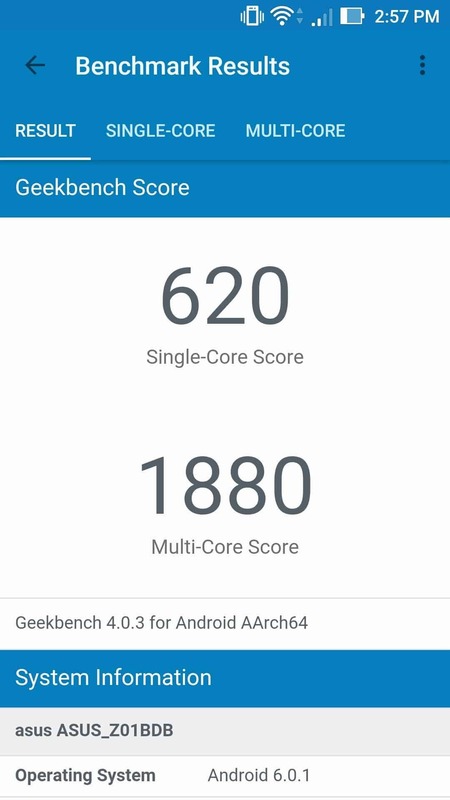 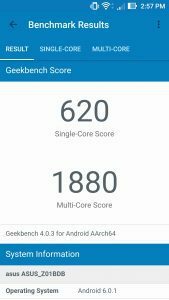 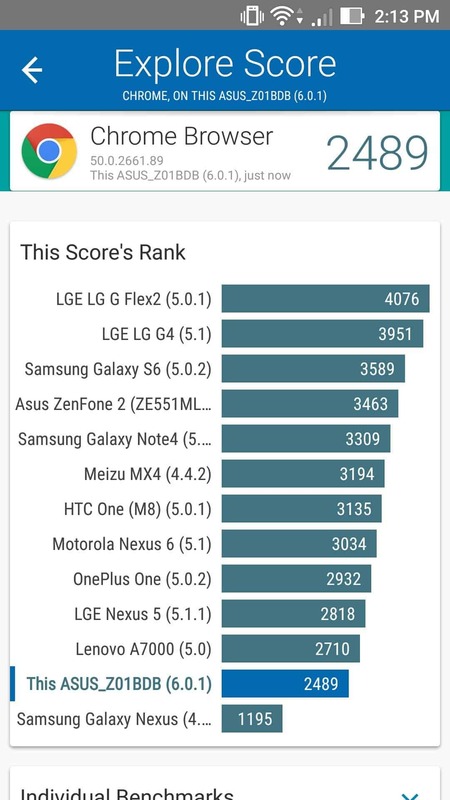 GeekBench came up with similar and expected scores for Zenfone 3 Laser. 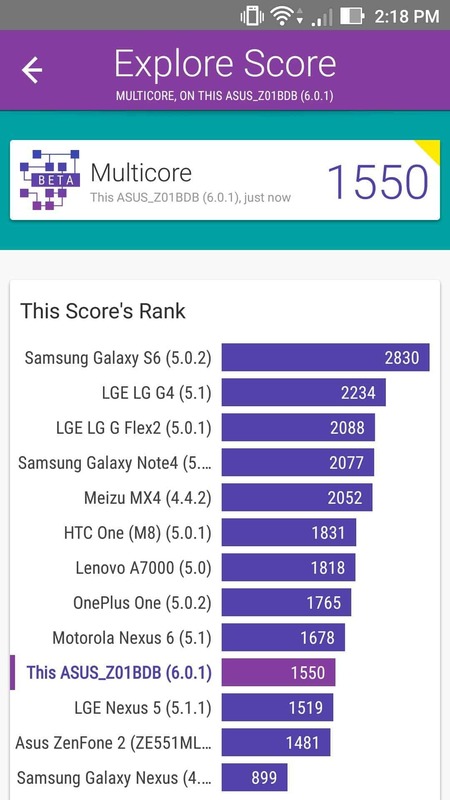 With a 620 on a single core, it scored 1880 on multi-core. While comparing the single-core and multi-score scores with competitors, one can see it scored below Redmi Note 3. 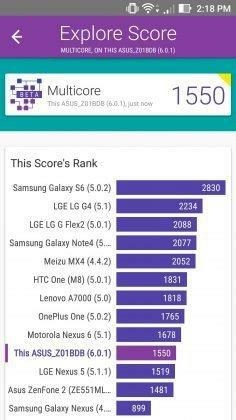 Vellamo came up with interesting scores – 1237 for metal, 2489 for Chrome and 1550 for Multi-core. While on multi-core it falls just below Motorola Nexus 6, Chrome and metal show that Zenfone 3 Laser is just below OnePlus One. 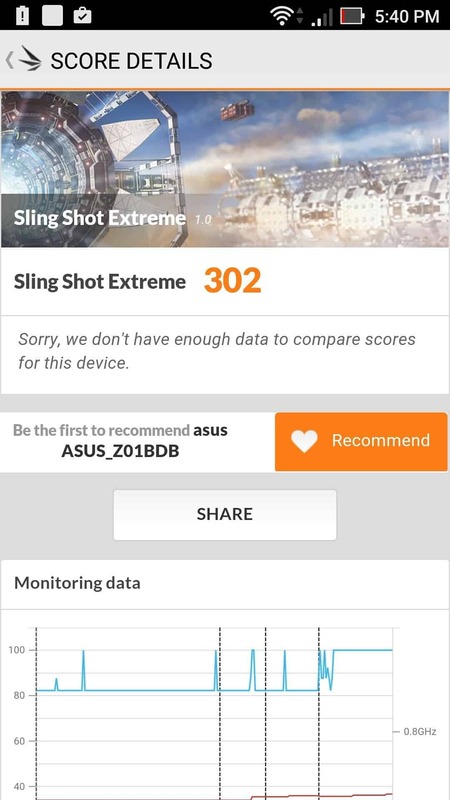 On 3D slingshot extreme, the phone scored a modest 302. 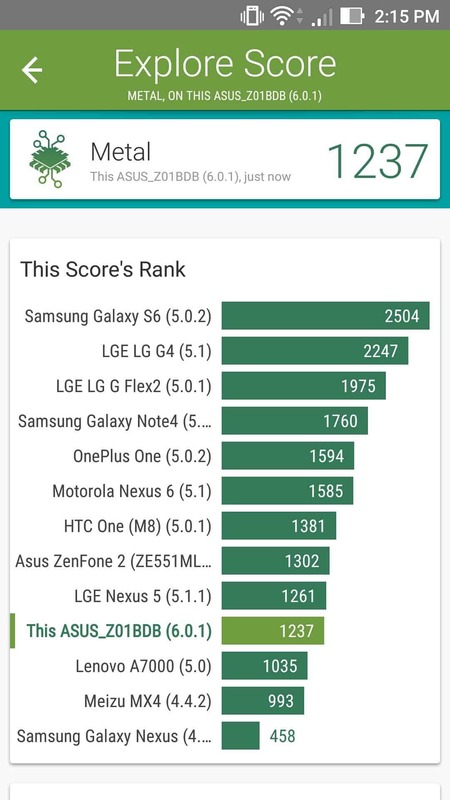 Overall, the performance test results indicate that it lingers around the average mark on almost all tests we ran. 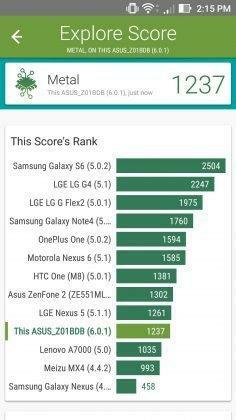 While it apparently scored less, it doesn’t necessarily mean the performance in real is affected in any way. 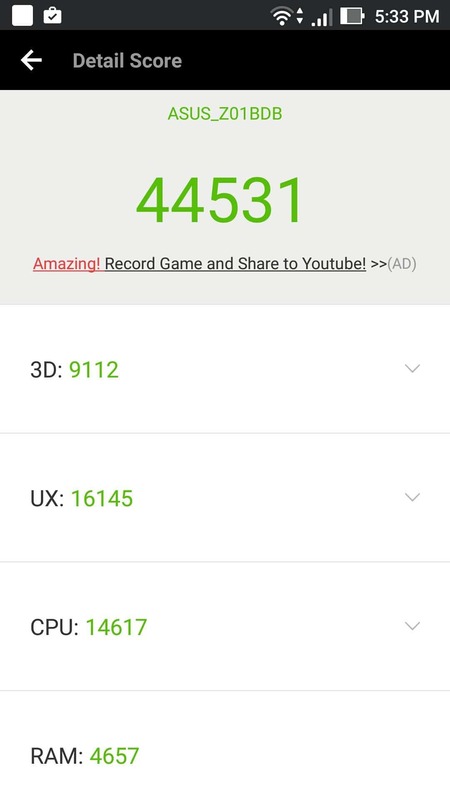 It never had a lag on regular gaming or day-to-day activities. 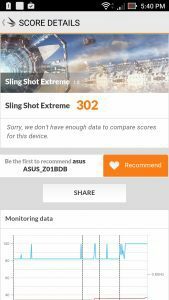 You can check how it performs on other fronts in our full review here and also checks out the camera samples here.